It is not surprising Pam Jennings was able to write three volumes of her book, Wild and Wondrous Women of Geelong if this week’s Trove Tuesday article from the Boxing Day, 1848 edition of the Geelong Advertiser is anything to go by. Not only that, my own wild and wondrous ggg grandmother Ellen Barry and her sister Mary were living in Geelong at the time and I have found references to both of them in Volume 3 (1870-1879). 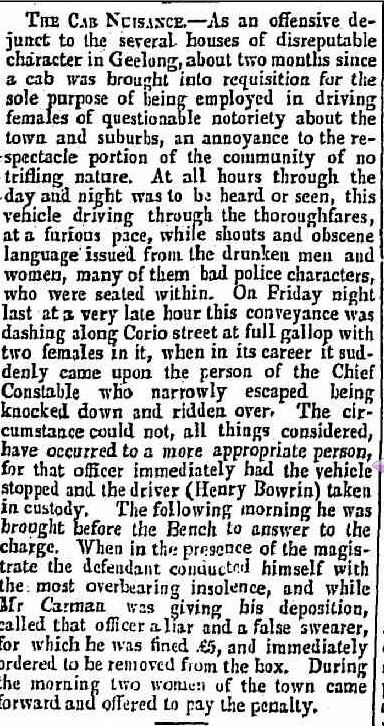 Despite Ellen’s vices, I doubt she would have been the type to take a ride in Geelong’s “nuisance” cab. Soon we will be able to read more from the Geelong Advertiser on Trove, with issues from 1857 to 1918 due to be added in the 2013/14 financial year. This is exciting news for anyone with family in Geelong, including myself, but also Western District researchers. You can read more about it on the Geelong and District blog. 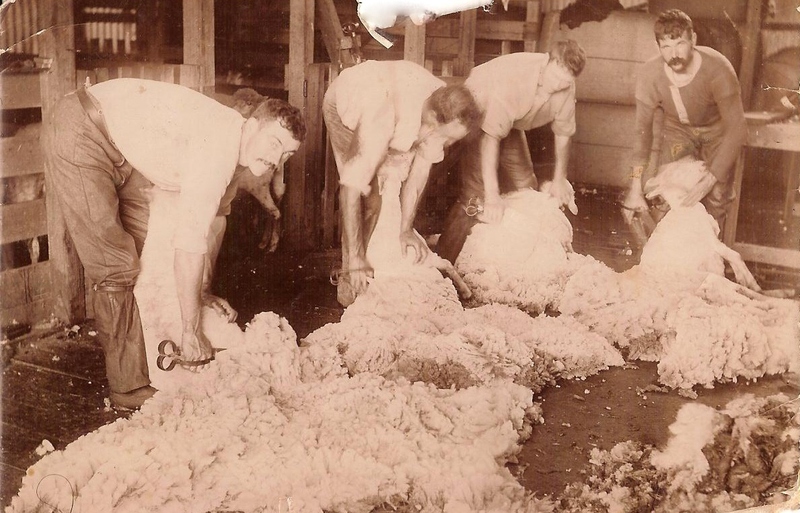 This entry was posted in Trove Tuesday and tagged Barry, Gamble, Geelong. Bookmark the permalink.